Leonia Resorts 1 Day Outing Package Ticket Price"
Take a dive into the pool of excitement and splash away your daily drudgeries as you engage with your family in an array of activities at an all inclusive destination. Mini Water Park - Kids Slide & Adult Slide. Give your daily almanac a fresh start and take the crash course of living an ideal day free of worries as we take care of the rest. Buffet Lunch at Designated Restaurant. Entry to Leo Splash: Mini Water Park - Kids Slide, Adult Slide. Access to Outdoor Games: Badminton, Volley ball, Basket Ball, Lawn Tennis, Sand Volley Ball & Tug off War. Access to Indoor Games: Table Tennis, Chess, Carom. DJ with Rain Dance: 11:30 Am to 5:00 Pm. High tea with one Snack. End your day in a grand way and enjoy an eventful evening while engaging in a series of exciting activities. # A minimum of 30 students from a single institution are needed in a group, and authorisation letter from the head of the institution need to be submitted to avail special discounted rates. Located on the outskirts of the historic city of Hyderabad, Leonia Holistic Destination commands uniqueness in its aspects with integrated facilities focused on leisure, health, business, recreation, sports, entertainment and rejuvenation. Leonia Resorts is located at Bommaraspet, Shameerpet, Ranga Reddy District of Hyderabad, just about a km away from outer ring road, towards Karimnagar highway. Stay is bliss: Nothing can be sweeter than that cozy bed and soft pillow of yours at home. Hence homeliness bears its signature in every aspect of Leonia’s Lagoon Villas; Celestia Suites and Ohbiz hotel. Lagoon Villa: A series of 18 aesthetically designed villas; Leonia’s Lagoon Villas are characterized by a 99 m long pool bay with rustic surroundings, bright interiors and several amenities to give you all the comfort you require. The décor of the villas is a testimony of an elegant marriage of rusticity and sheer urban elegance which makes your stay an experience. Celestia Suites: Luxury and regalia find their new address at Leonia’s Celestia suites. Every element of the suite spells opulence as grand as the Celestial abode. The villas consist of two boardrooms equipped with video conferencing, touch screen audio visual controls and the latest in communications to stay connected with your work. It features a dedicated swimming pool, camouflaged in greenery, allowing the guests to enjoy their indulgences. Ohbiz Hotel: The Ohbiz hotel is an indigenously built 14 storied structure overlooking the destination catering to all kinds of guests such as business, wedding and individual travelers to offer them a classic hospitality experience. The hotel is suited for travelers who believe in simple indulgence and convenience. Adjacent to the hotel is a Biz lawn that takes care of any exclusive parties, luncheons or dinners hosted by guests without moving far. Eatinerary: Leonia is dotted with a range of eateries and restaurants which not only address the call of your appetite but also help creating those private moments, family togetherness with exquisite décor and themes. The restaurants such as Sun Moon, Bistro, Food court, Shahi Handi, let you taste-travel to the Mughal palate to the new-age quick and healthy bites, to Middle-east munches to the European flavors. Water Galaxy restaurant offers you a unique fine dining experience where you will be seated on a wading pool with an adjoining stage area featuring live music and other performances. Activities in abundance: Leonia has been a frequent haunt for families and corporate teams as a day outing venue by virtue of its range of activities and amusement facilities. Splash, a water park with Rain Dance, DJ Music, Slides for kids & adults; paintball; human foosball; fairyworld; Euro Bungy jumping, cricket ground and a range of indoor games will leave you spoilt with choices while spending your day out of your schedule. Game for some thrills: Leonia hosts India’s first Artificial Surfing Ridge, FlowRider. Speed away from the rat-race of your life while you race on the 1.2km CIK attested Chicane Circuit; take a relaxing cycle tour across the lush green property of Leonia. Nightlife/entertainment: Stay updated with the latest flicks at Leonia’s Carnival Cinemas which is a 3-screen theatre equipped with world-class acoustics and Digital Cinema technology. Get a whiff of nightlife as you party hard and elevate your spirit at the three bars, Fluckers, Leo Vegas and Grus at Leonia. Rejuvenate at Juventa: Open your eyes and senses to a whole new world of relaxation and de-stress. Submit your senses to the therapeutic healing of Juventa’s wellness and spa treatment. Leonia’s Juventa, a holistic healing destination has received several accolades such as the AsiaSpa award and World Luxury Spa award. 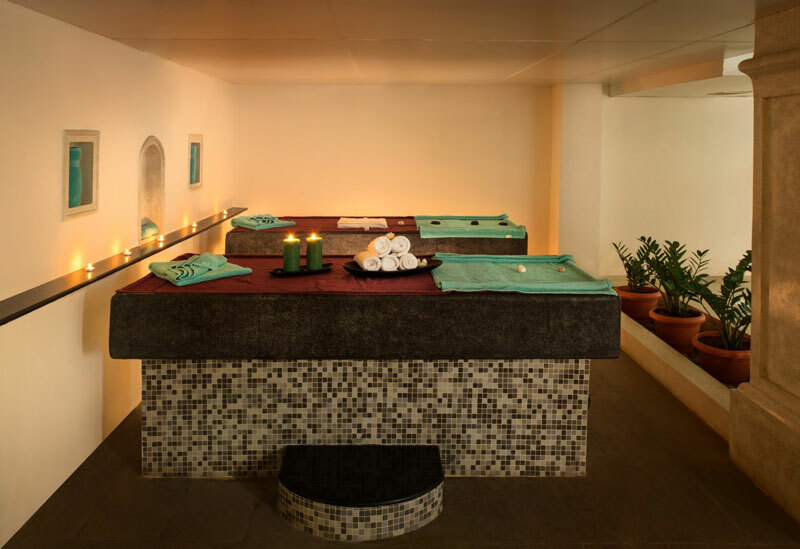 It offers over 200 wellness experiences including Aqua therapies, Ancient Indian treatments, Cosmetic & Laser procedures, Physio & Rehab therapies, Anti-Aging treatments, Beauty treatments, Dental procedures, Weight Management programs, etc. Wedding venue at Leonia: Leonia houses wedding facilities like indoor and outdoor venues, in-house Food & Beverages and Audio Visual. It features a podium measuring 3, 00,000 Sq. ft where you take your wedding vows before witnesses of 20-2000 people. 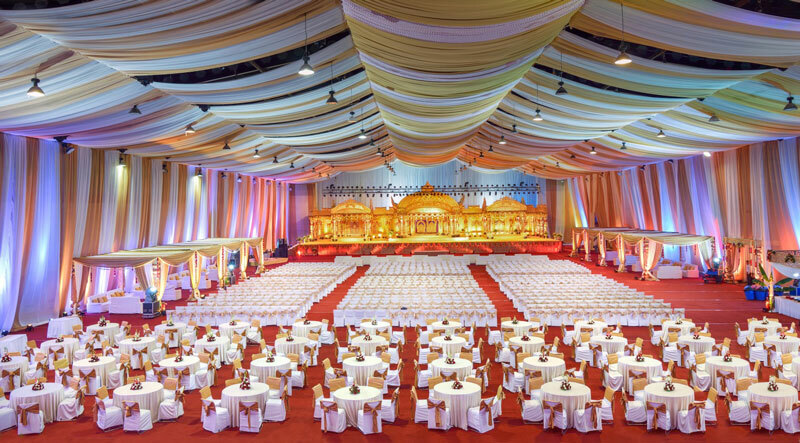 Leonia’s Leo Mandapam is replete with regal settings and grandeur and hosts facilities ranging from Music and Entertainment, Food and Beverage, Décor and Ambience to Video and Photography. Corporate meet and greet: Leonia hosts range of venues which cater to corporate events of all scales, genres and magnanimity. It is equipped with boardrooms, conference rooms, mini meeting rooms etc and latest technologies and also has on-site management personnel whose skills are attuned to the ever changing needs of the corporate world. How to reach Leonia Resorts, Hyderabad? Transportation: Leonia offers its guests a number of transportation options ranging from private airport transfers and radio taxis to luxurious chauffeur driven Audi cars. For those travelling in larger groups, Leonia has included the convenience of AC Luxury Coaches. Leonia has been envisioned as the sanatorium for people who seek to spend moments away from the sounds and strife of a typical city life. The property’s location, topography, the verdant greenery that punctuates the acres makes Leonia an ideal getaway and an option to stay for the people.